It sure feels like a long time since I’ve been able to announce an extension drop! This release, along with last weeks Pre-Orders launch happily marks our getting back into the swing of WooCommerce extension releases (WooHoo). Today at WooThemes HQ, we’re very excited to launch a new WooCommerce extension that we know has been on many of your wishlists for a while… it’s been on ours as well. Ladies and gentlemen, meet the WooCommerce Pre-Orders extension. Pre-Orders adds functionality for you as a store owner to pre-sell products to your customers with a specified release date- it does what it says on the tin. What else can pre-orders do for me? As with all WooThemes products, we like to explore as many creative ways of using our products as possible. Pulling back that curtain always yields exciting results. With the current boom in eCommerce and the recent launch of WooCommerce 2.0 (which makes it really easy to sell your products online), the web is seeing an increasing pool of eCommerce websites selling larger and larger ranges of products. With a large range of varying products, the most important factor in your customer’s time spent on your website is that they can find what they’re looking for quickly and easily, ultimately resulting in a purchase. Today, with this in mind, we’re launching Product Finder, an advanced search extension for WooCommerce. If you haven’t tested WooCommerce 2.0 yet, or haven’t prepared your website yet, now it really is the time to start doing that. Today we have tagged the second Release Candidate in our version control (you can now download it from GitHub) and this marks the last week of testing. If is it as good as we think it is (and no critical bugs are found), the final version of WooCommerce 2.0 will be released on March 4th. This second Release Candidate also marks the moment where our support ninjas will start helping you resolving issues with WooCommerce 2.0 on your test installs. As with the previous beta and RC releases, we still do not recommend you run this version of WooCommerce 2.0 on a live website though, so please only use it for testing purposes. There hasn’t been a WooCommerce extension drop in a couple of months and there’s no secret as to why. Team WooCommerce has been working relentlessly on making 2.0 (download RC1) awesome and ensuring compatibility with our already 100+ strong catalog of extensions. So to stem any cases of WooCommerce extension withdrawal you may be suffering, we’ve rounded up some cool plugins that you can download from the WordPress.org plugin repository for free. WooCommerce 2.0 final testing, Release Candidate 1 is here! I have some good news for all of you waiting for WooCommerce 2.0. This afternoon, we have tagged the current development build as Release Candidate 1, indicating that we think it’s ready to release. Unfortunately, we’re not perfect so we need you all to test this RC1 before we make it to the official release. This starts the final stages of testing before the final WooCommerce 2.0 release is here. If you haven’t tested it yet, now is the time! As always, we do not recommend you run this version on a live website unless you know what you are doing. Although this is a Release Candidate, there still might be bugs in this release and we do not want to break your website. Please test this version on a subdomain install just for testing purposes. As with the beta releases, we still do not support this version. WooCommerce version 1.6.6 is the only version we provide support for. When you think you have found a bug, please check the list of issues to see if it hasn’t been reported yet. If it is not reported there yet, please report it and be as thorough as possible. Do list the hosting environment you are running this on and be as detailed as possible on what plugins or theme you are using. We need all the details of your bug report we can get, which will make it easier for us to fix the bug. The past two weeks have been filled with spending time with family and friends, but a lot of people have squeezed in time to test the first beta of WooCommerce 2.0. We’re really happy with all the feedback we’ve been getting, thanks for all the testing! All of the bug reports, combined with a lot of people contributing code, have enabled us to release the second beta today already. This second beta contains a lot of bug fixes and smaller tweaks, but there are a couple changes that I like to highlight in this post. 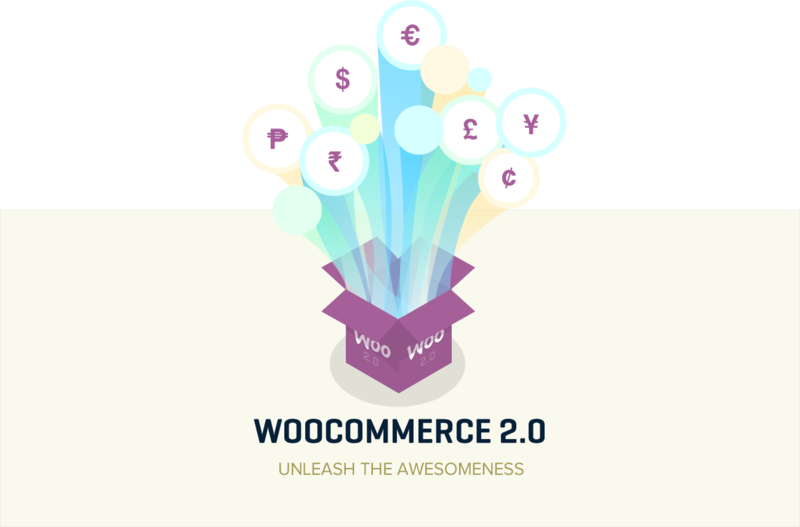 This post contains everything new in the second beta of WooCommerce 2.0. For the full list of new features in WooCommerce 2.0, please read through everything in the beta 1 announcement or read the full changelog on GitHub. As always, let me stress this one more time: Do not use this version on a live website, as it’s not stable enoughÂ yet. Things might break if you use this on a live website. Today I am excited to announce the availability of WooCommerce 2.0 beta 1. As you might have seen in our earlier post where we explained what was going to happen the next few months, WooCommerce 2.0 will be the next big release of our plugin. Because WooCommerce 2.0 will introduce so many changes and new features, it is important to properly test all of this before releasing it. That’s why we are going through the full testing stages before releasing the final version. First stop is this beta release. This beta release should not be used on production websites as the software is still in development. I can’t stress this enough: Do not use this version of WooCommerce, unless you know what you are doing. If you use this beta version on your production site, it is possible things will break.Â We do want to invite you to take this first beta for a test ride, help us make it a better plugin and that is what this post is all about. After the awesome Black Friday promotions and the release of our brand new theme Function I bet you thought the week couldn’t get any better. Well, think again! 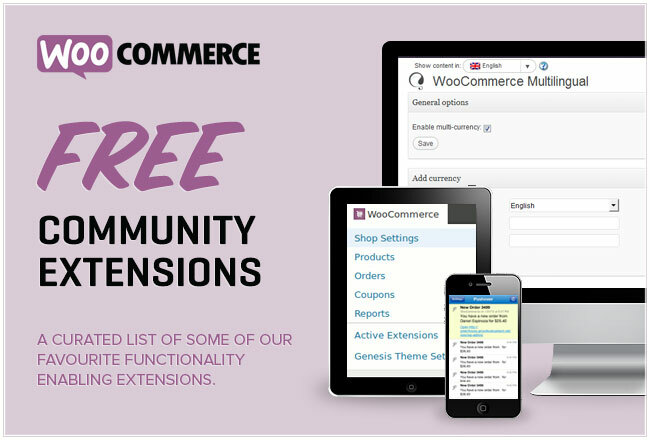 Today we’re excited to add 7 more WooCommerce extensions to our arsenal. Including: 2 payment gateways, a couple of nifty marketing tools, Linnworks & Litmos integration and Shopdock – a plugin which ajaxifies your store catalog / cart. WooCommerce continues to grow day by day, and as it does we need to react in order to keep up with the ever challenging support demand. Along with our impending switch to zendesk, to improve our WooCommerce support further we’re delighted to announce that we’ve recruited two talented developers who will be focusing on WooCommerce as part of our support team. Everyone please give a warm welcome to Daniel Espinoza (who you may have already met in UserVoice) and Gerhard Potgieter who starts officially on December 1st. Both developers are seasoned WooCommerce extension developers and their general eCommerce experience will be fantastic assets to the WooCommerce arm of our support team. This week we’ve a colossal drop of WooCommerce goodies including the sought after Xero integration, Account Funds, ShipStation integration, CertoDirect payment gateway, Purolator integration, Role based payment / shipping methods and the first WooSlider extension which allows you to easily create product slideshows. To top it all off, we’ve also just released WooCommerce 1.6.4 which features a bunch of tweaks and fixes. This week we’ve a new free WooCommerce theme; Mystile. There’s also 6 new extensions including smart coupons, MSRP pricing and 4 payment gateways as well as a core WooCommerce update. It sure is getting hard to think of interesting headlines for our weekly WooCommerce drops. Hopefully the products we launch make up for it! This week we’ve a new child theme, Zferral integration, UserVoice integration and 2 more payment gateways. More wonderful weekly WooCommerce wares, WC 1.6, plus a survey & prizes! Take our survey, win cool Woo stuff! WooCommerce has grown at a phenomenal pace since it’s launch last year. At the time of writing we have over 220,000 downloads (we’re averaging around 1000 per day), more than 20 WooCommerce specific themes (including child themes) and over 130 official extensions. We feel this is a fantastic achievement and testament to the huge amounts of effort the team has put in over the last 10 months.